This is my first painting of 2013. 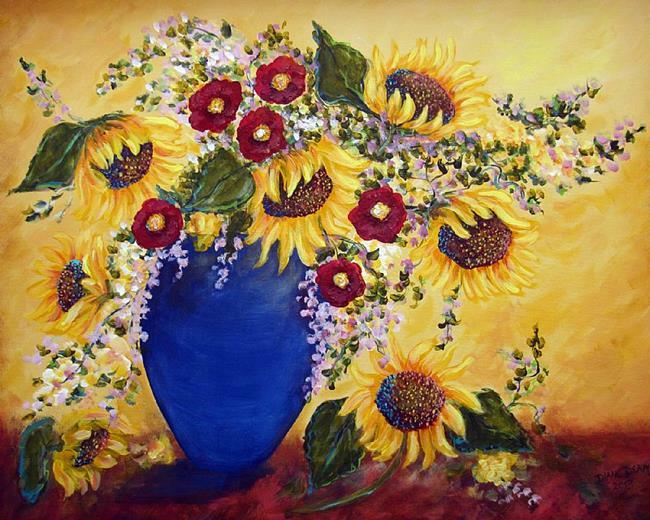 I chose sunflowers as they are one of my favorite subjects. I used a lot of Naples Yellow which I call Van Gogh Yellow. The color so inspires me that I am painting the whole inside of my house that color. My trip to Amsterdam and the Van Gogh Museum was one of the highlights of my life.